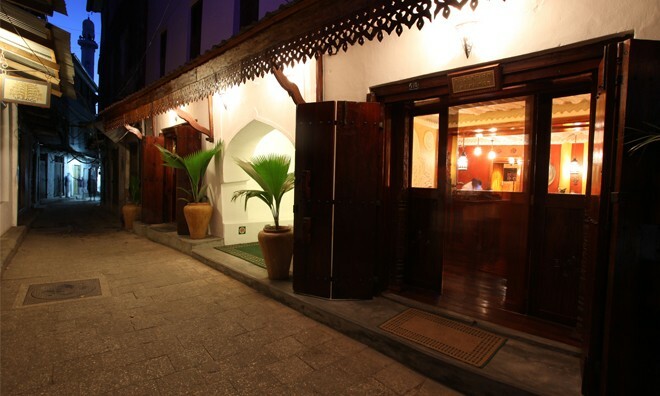 An old Swahili residence in the heart of Stone Town receives an extreme make-over and becomes a Zanzibar hotel with a beach and a safari edge. This East African inspired safari also dazzles with stunning beaches and rich shorelines, creating a rare yet intriguing combination that only Jafferji house and Spa can pull off effortlessly. A trip Advisor favourite, Jafferji House is the brainchild of a Tours company owner, placing it in the hands of someone who understands the science of travel, accommodation and hospitality. 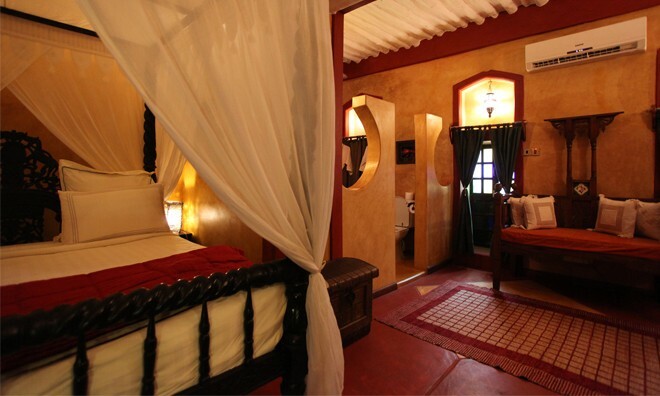 And at a 4 star rating, luxury at Jafferji is definitely standard. 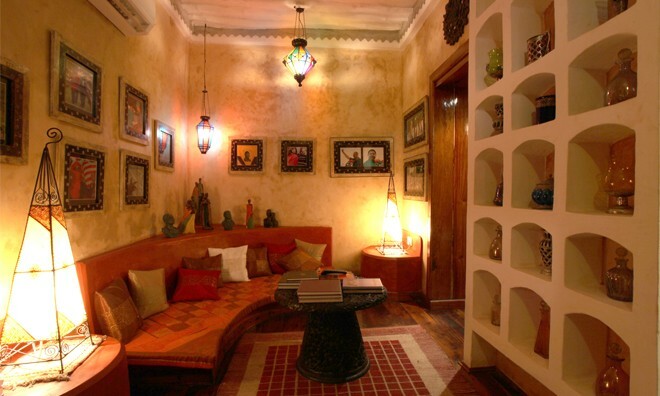 The 10 uniquely styled rooms echo a celebrity status, each with a theme surrounding a well-renowned celebrity straight from the soils of Africa. 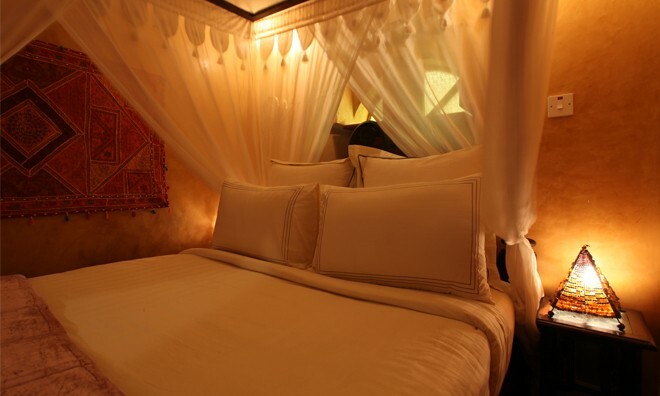 Sleep in the comfort of greatness in the vast, air-conditioned rooms with a flat screen TV and en-suite amenities .The celebrity status reaches gold standards with the over-the-top Sultan Suite that has an enchanting Moroccan ambience in the bathroom including a brass bath and a refreshingly gorgeous outdoor shower. 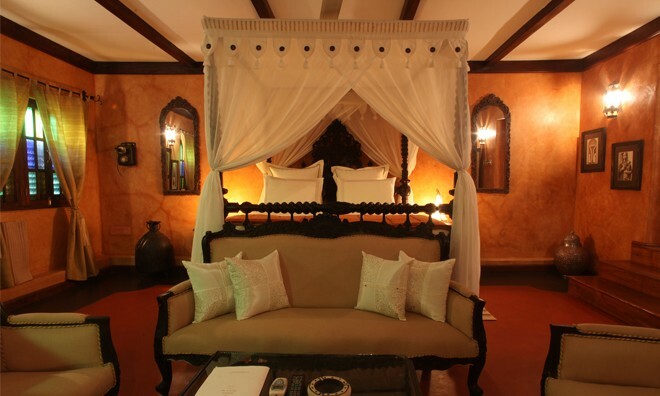 Jafferji House and spa epitomizes the mystique and enigma of the Swahili people in its design and pampering luxury. 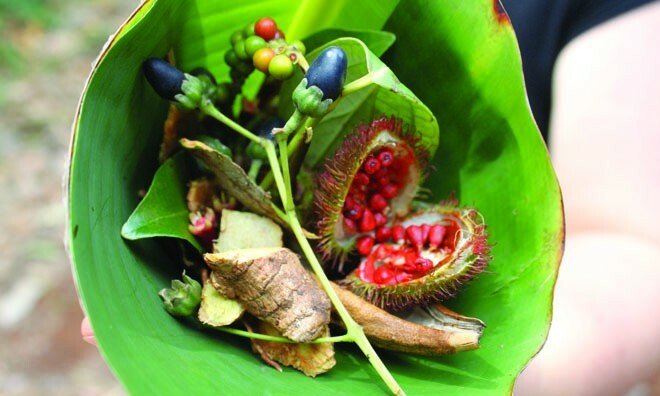 Enjoy roof top massages and private sunset dinners under the Tanzanian skies. 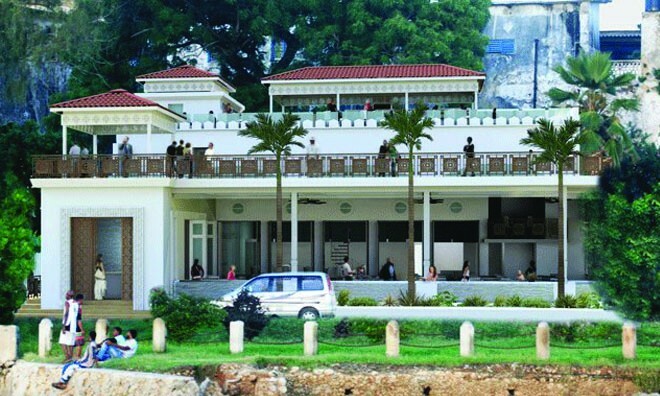 Sip a cocktail while lounging by the ocean front and those roof top massages and spa treats that give you a delightful view of the Indian Oceans will definitely be something to tweet about. 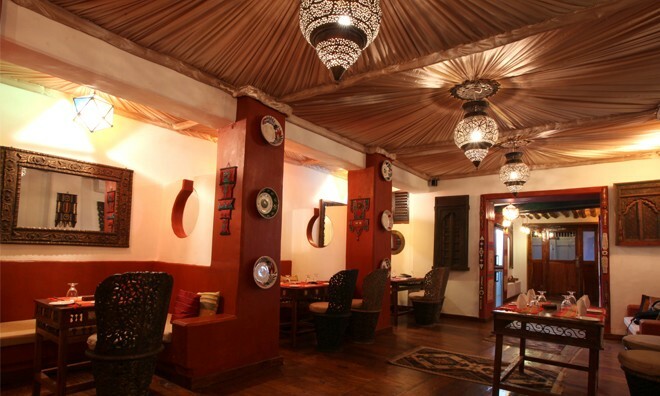 The enticing Mistress of the Spice is a Jafferji restaurant that offers some of the best palatable dishes in the whole of Zanzibar. 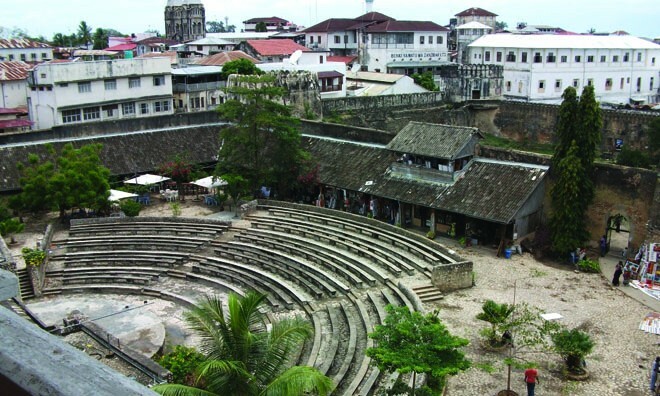 What a great way to start your Zanzibar Holiday. 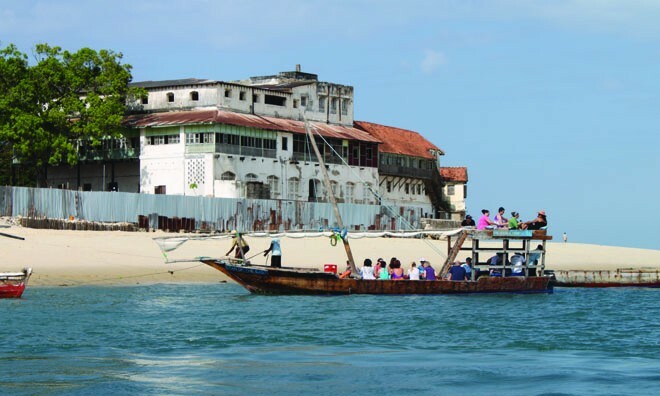 The beauty of this Zanzibar hotel is the plush, inviting rooms, the spa and the beaches but most importantly the Stone Town excursions and tours. 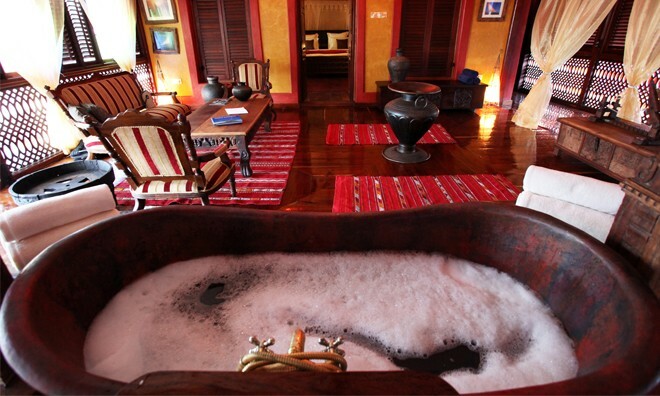 The Stone Town escapade is the cream while Jafferji House and spa is the whole cake, so enjoy! Why not share your experiences and reviews with the community and write a review for Jafferji House & Spa.